As my sessions have slowed a bit, I have been trying to practice more, so that I can better utilize light in my images and also use it more effectively to evoke mood. To that end, I set up my backdrop in the garage this weekend (to hide the clutter) and used side window light to create a Rembrandt lighting scenario. 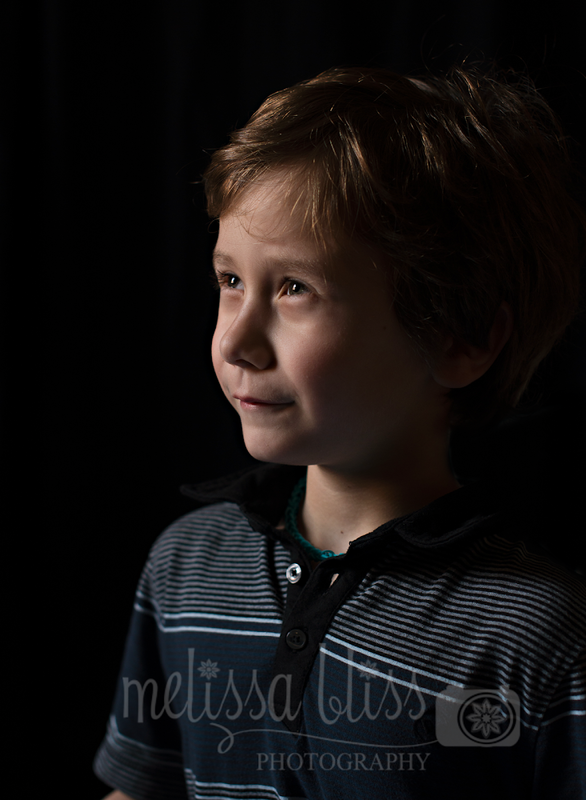 Fortunately my kids were intrigued by the back drop and agreed to sit in for a shot or two. It was a pretty simple set up. 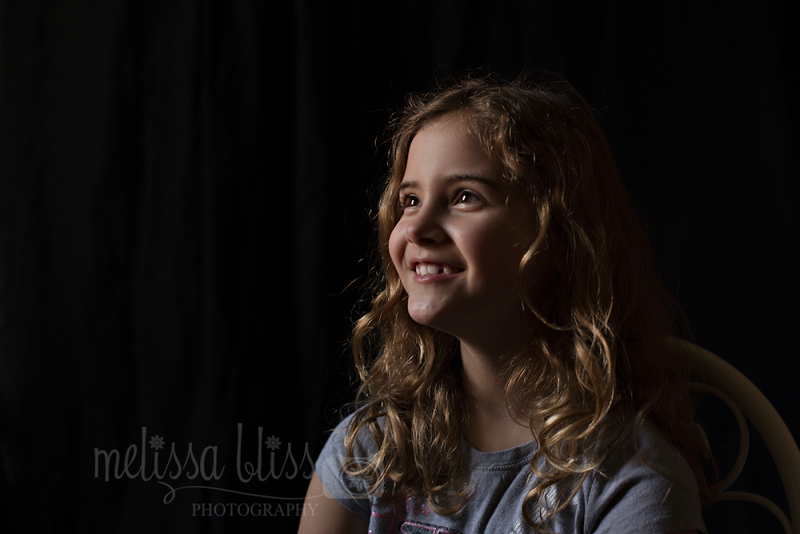 I just positioned them about 4 feet in front of the back drop and about 5 feet away from the window. I had them sit, to keep them still, and pointed to where I needed them to look in order to create a balance of light and shadow on their faces. I love the dramatic effect. 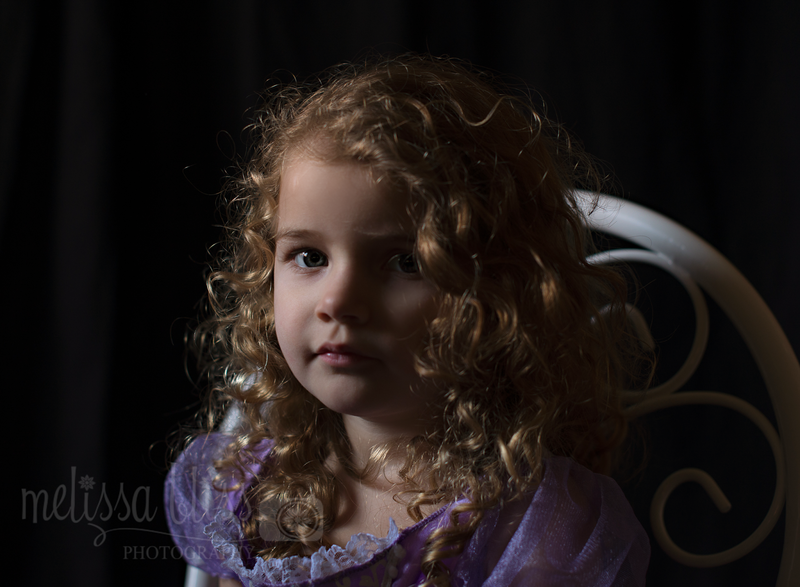 I then played with adding a little fill light by using a reflector opposite of the window, to bounce a little light back toward them. I used my 50 mm lens, not a true portrait lens, but I was working in a confined space. My setting were ISO 160, f/2.8 and 1/100 Sec. I metered off the highlight cheek and did underexpose by about 1/3 stop because I liked the look better. When the meter read 0, I felt the highlights were too bright. I didn't do much in post processing, just pulled down the highlights and shadows a bit and sharpened for the web. I also used my new Expo disc for a custom white balance - that thing rocks! Not all of the images I created qualify for true Rembrandt light (notice the shadow in the first image is not deep enough) but I was going for something both natural looking and dramatic, and I was pleased with the effect. This was a fun exercise and I will definitely try it again and play more with composition and subject orientation. 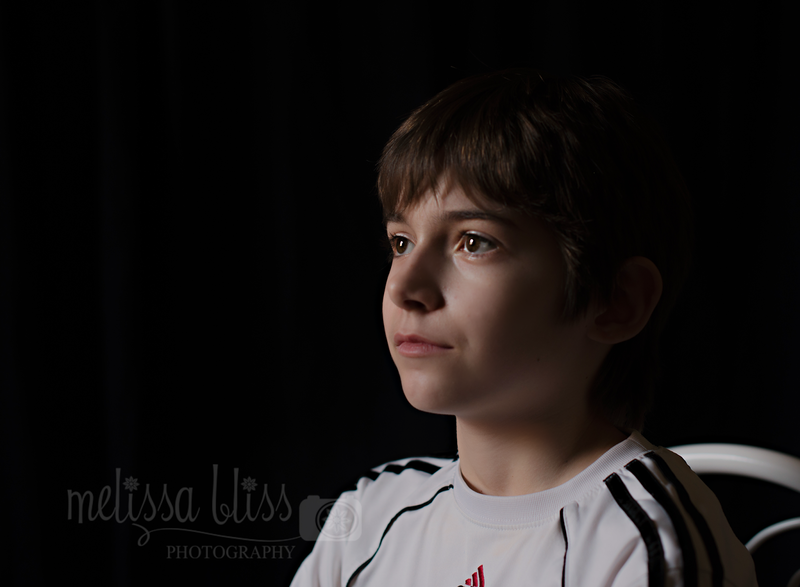 I also have been working more with Off Camera Flash and trying to get a better handle on using it effectively. There is always more to learn! What is your favorite lighting technique? These are amazing, Melissa - wow!! Stunning- as always! You have the most beautiful kids! Melissa, these are just beautiful!